Matthews, Young – Management Consulting has worked with several clients assisting them with the necessary process and review of Compensation Policy and Plans, including a number of community banks participating in the TARP program who must comply with similar regulatory requirements. Randy McGraw, a Senior Consultant with our Firm, collaborated with me to layout the specifics of Compensation Plan Risk reviews. To take unnecessary and excessive risks which threaten the value of the company. To manipulate reported earnings to enhance compensation. To focus attention exclusively on short-term results at the expense of longer term performance that adds value to the institution. For organizations taking TARP funds from the Treasury, at least every six months, the Committee and Senior Risk Officer (SRO) review all employee compensation plans related to excessive risk, manipulation of earnings, and short-term over long-term results. The Committee is required to limit and/or eliminate any plan features that encourage such behavior. For TARP recipients, SEC reporting companies, and all financial institutions, at least once every fiscal year, the Committee and SRO, in addition to review, discuss results and prepare a narrative description of findings and actions taken on any adverse findings in review. For TARP recipients, within the first 120 days of the end of the fiscal year, the Committee prepares a narrative report describing Committee meetings, discussions, and actions. The report must be submitted to both U.S. Treasury and primary regulator For SEC reporting companies, results of review are reported in the proxy statement. Base salaries are sufficiently competitive to avoid undue emphasis on earning incentives in order to earn reasonable cash compensation. Potential incentive levels achieved from short-term and long-term plans are balanced to ensure sufficient focus on long-term results. Maximum incentives are capped and potential incentives are reasonable. Performance measures require a balance between earnings, return, revenue or asset growth, operating efficiency, and asset quality or other risks. Performance measures support achievement of operating as well as strategic goals. Performance measures strengthen teamwork as well as match a participant’s areas of accountability. Incentives do not create a conflict of interest for officers with compliance and audit responsibility. Whether plans contain a claw-back provision which has been communicated to participants. Reasonable number and category of participants. Stock overhang and run rate are in line with prevailing market practice. There is balance between appreciation-oriented (options) and full-value (restricted stock) grants; as well as balance in full-value grants between time-vested and performance-based grants. Option grant exercise price is at or above fair market value; and re-pricing is prohibited. Vesting and performance periods are sufficient to emphasize multi-year service and performance. Matthews, Young – Management Consulting will assess compensation plans and practices based on information provided by client. Matthews, Young – Management Consulting will draft a letter that describes our review and findings along with any recommendations for change and provide this letter to the SRO. With client’s input, we prepare a table summarizing key terms of all incentive compensation plans specifically Plan Name, Plan Purpose, Participant List, Administrative Responsibility, Performance Measures and Incentive Payout Potentials. SRO reviews our letter; assesses the potential risk created by compensation in the following risk areas: Credit, Market, Liquidity, Operational, Legal, Compliance, and Reputation. SRO then prepares their own letter to the Committee summarizing the review process and findings. Compensation Committee meets with outside consultant and SRO, reviews both letter and reports, identifies any actions required to modify plans, and documents meeting activities. We are currently offering a free telephone consultation to further discuss the regulatory requirements and risk review process. Please contact us if you would like to discuss your compensation plans and an assessment of the risks they may pose to your company. Call 919-644-6962 and ask for David Jones, Randy McGraw or Tim O’Rourke. You can also complete the request form at http://matthewsyoung.com/risk_review_contact_landing.htm. Effective Salary Planning Isn’t Just About Budgeting for Raises. 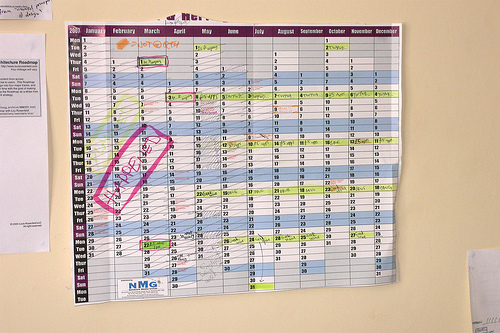 And It’s Not Too Early to Start Planning for 2011. We have talked to lots of banks, credit unions and other organizations that chose to forgo or greatly reduce salary increases in 2009 and 2010 due to significantly lower company earnings. While it’s only common sense that you can’t raise salaries if there isn’t the money to pay for them, the risk of your best talent seeking other jobs grows as time passes without seeing a raise. Are you experiencing turnover in positions that you can afford not to fill? Lower headcount could free up some salary expense that could fund raises for others. If you are filling vacant positions, will you be able to recruit qualified candidates at salary levels below those paid to employees that left? This may be especially true in cases where turnover was due to retirement of long service employees. Do you expect revenue growth that can be generated without headcount increases? Will this revenue growth be profitable growth evidenced by increased earnings? Are there underperforming employees that should have raises postponed while you work with them to improve performance? Are there employees already paid well above market rates that might not qualify for a raise or might have their raise postponed? And perhaps most importantly, how do your overall salary levels stack up against current market salaries? If you haven’t checked the market lately (perhaps because you didn’t grant raises), then you lack important information on competitiveness that can tell you whether you are still paying competitive rates or that a gap has opened between your organization’s salary levels and the market. Truly effective salary planning takes into account all relevant factors – only one component of which is the amount budgeted for raises. And knowing how your salaries stack up against the market is a critical step which Matthews, Young can help with. So, it’s not too early to start this review. And as we gather more intelligence on projected raises for 2011, we will get back to you. To be clear, I am not talking about discretionary bonus pay. That is money wasted by managers who do not know what to expect of their business or their employees. I am talking about a promise to pay a specific amount for a specific outcome, and the promise is made in advance of the performance period. You know, the kind of incentive you used with your kids, or your parents used with you. “Son, please give up the girl, sell the motorcycle, go back to school…..” Sometimes an incentive can be a stick, but often a carrot is more effective. When the economy and the effects of the bursting of the latest bubble are threatening your company, management teams need focus, and properly designed incentives create focus. It’s not that good people need to be bribed. Rather, when an incentive is properly designed it communicates a powerful message of what is expected from employees. It focuses the team on exactly what you need. Let’s face it, there is little less effective than a talented group of people all pulling in opposing directions. When times get tough, the tough get going….but you better make sure they are going in the right direction. One bank CEO told me recently, “I need the Incentive Plan now more than ever,” as he strategized how to reduce loan losses, raise capital and improve liquidity. This team has a new set of metrics based on that strategy and a significant upside opportunity if they achieve the turnaround. The shareholders and management team will win or lose together and there is no question what it will be worth. It is true that incentive pay, if large enough to create the focus that is needed, can be dangerous. You will get what you pay for, so you better make sure you want it. I have seen companies driven over cliffs with poorly designed incentives. In financial services, care must be taken to incent asset quality, risk management, controlled liquidity and interest sensitivity risk…..not just growth. As the economy stumbles along through a slow recovery, unusual opportunities will become available. Will your team be ready and focused? What can bank boards do to make sure they hold on to their best executives, including the CEO? Average payouts from incentive plans for 2009 and 2010 in the community banking industry were extremely low, including bonuses and stock incentives. Because a lot of stock options that were granted two or three years ago are now underwater, we’re looking at a significant potential drop in executive compensation for 2010 after a similar drop in 2009. It was down some last year and I’ve projected it’s going to be down even further this year on average. There are some notable exceptions, but on average you might say the at-risk forms of pay are very much at risk this year. It’s a good time to pay attention to the base salary component and make sure that it is competitive enough to provide for bread, butter and mortgage money. In recent years most banks have been trying to keep base salaries low in favor of heavy use of incentives. As an overall strategy that makes a lot of sense, but when incentive comp is down due to things beyond the control of your CEO there’s also some risk that you could lose them if the base salary component is not competitive. So it’s a good time to look at that and make sure it is competitive. What I would not do is throw out the incentive plan and replace it with a new plan that will pay out under the current conditions because shareholders will react negatively to that, as anyone would. What’s the purpose of having the incentive if we’re going to throw it out the first time it doesn’t pay? We are seeing a trend toward increased use of restricted stock awards where the full value of the shares are awarded. In other words, it’s not a right to purchase like an option but is actually a gift to the executive, with the restriction that if the executive leaves before a certain period of time has passed the stock is forfeited back to the bank. It’s a velvet handcuff if you will. It’s also possible to tie the lapsing or forfeiture component to some modest level of performance so that not only does the executive have to stay but the bank must perform at some modest level, whether in a comparison with a group of peer banks or just in absolute terms. That’s a good way to provide some incentive in a down market because the shares have value regardless of where the stock price goes and if it goes up then there’s an incentive there to see that happen.